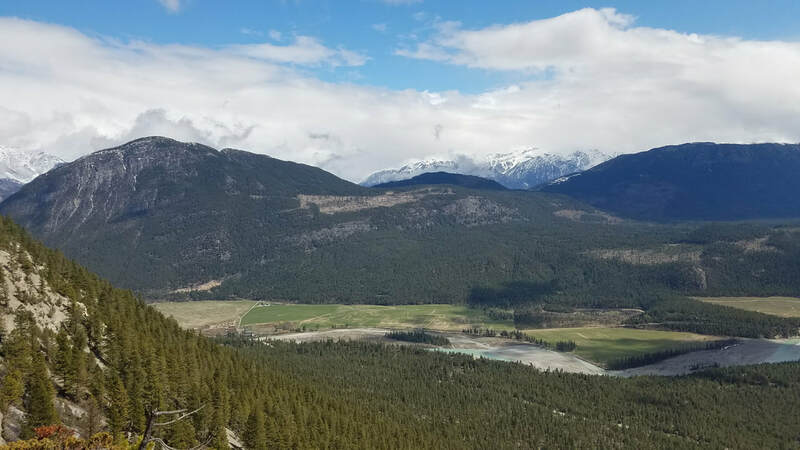 Elaine and I went out to BC for some rock climbing "outside" the Canadian Rockies. 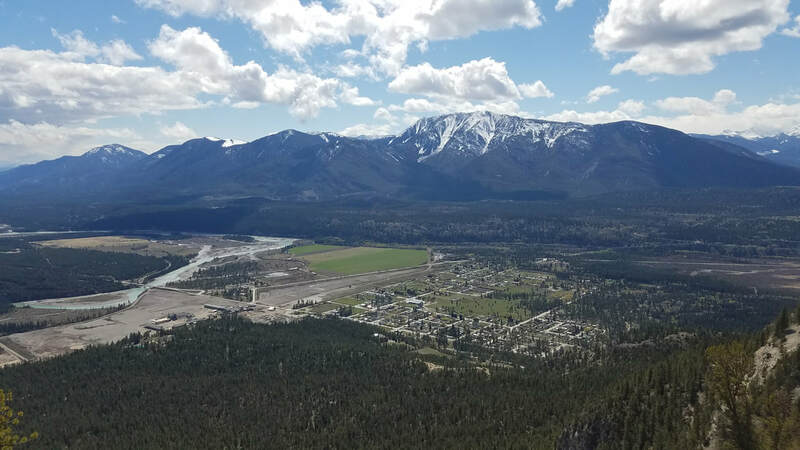 Mount Sabine was a close area just above Canal Flats along the Kootenay River Valley. 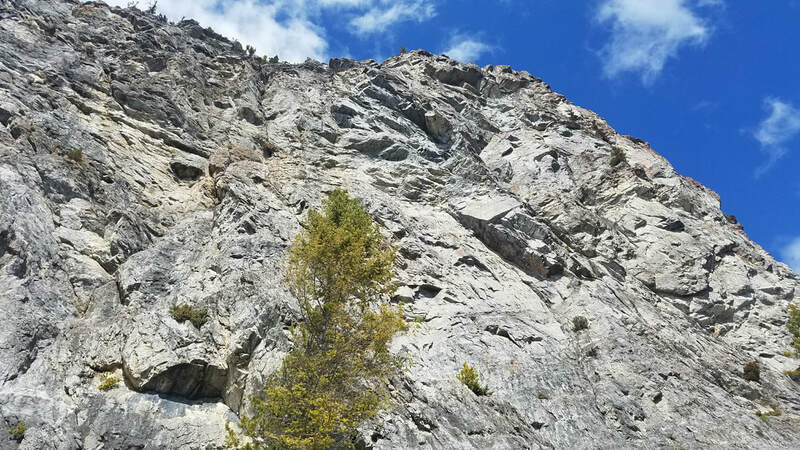 We climbed the first 3 pitches of a nice sport route called Easy Honey, which ascended a feature on the cliff face about halfway up the steep south face of the mountain. 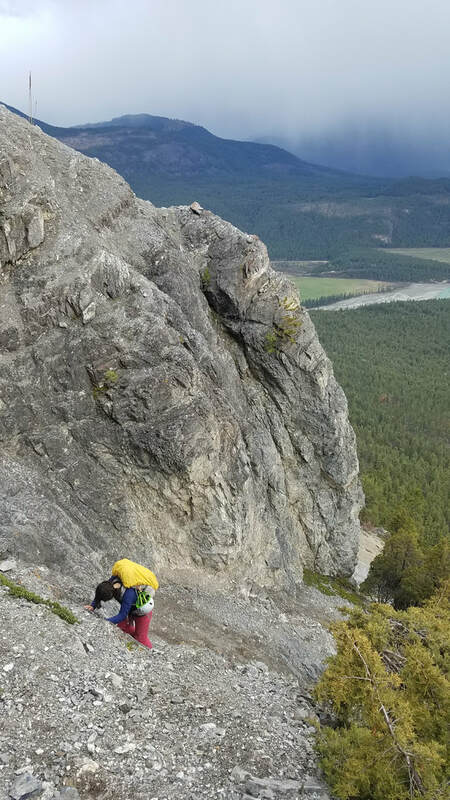 We had to make a near 400 meter approach up horribly loose scree to get to the ledge at the base of the route. 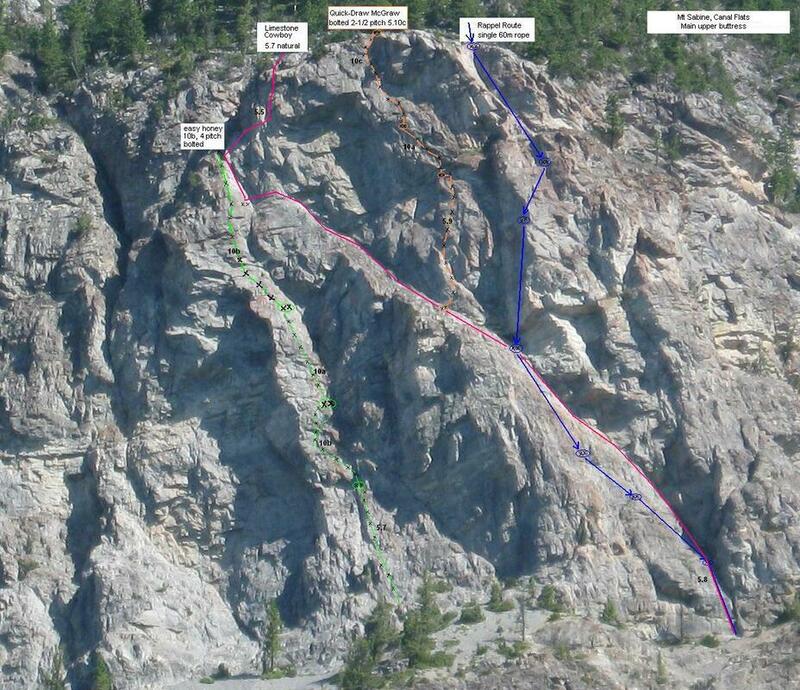 The route was supposedly 5.10b but nothing felt harder than 5.9. 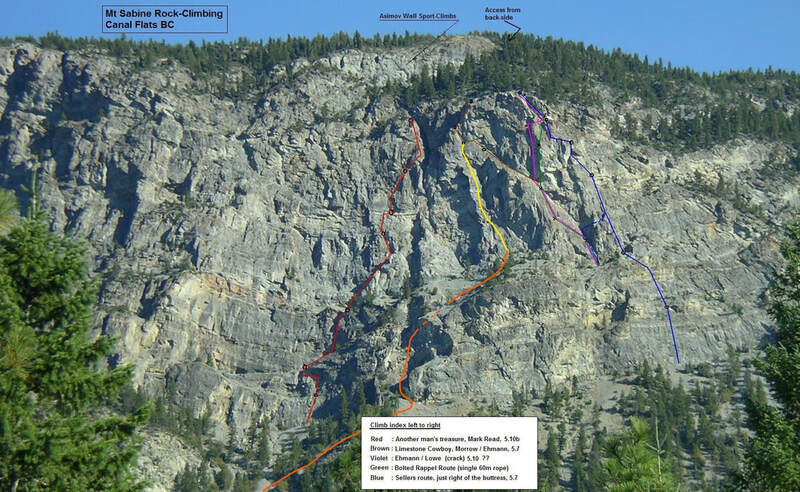 We rappelled the route, although the top of the 2nd and 3rd pitches did not have rap rings. Overview of the main wall climbs on the south face of Mount Sabine. Our class 3-4 approach shown in orange and Easy Honey in Yellow.